Greece at this time needs an inspired leadership, which understands the contemporary world, believes in the activity of the private sector, and can absorb other countries’ experiences in achieving growth. Yet another cycle of delusions and self-deception closed before dawn on Friday in Luxembourg. The Eurogroup decision to provide debt relief for part of the Greek debt is a far cry from the expectations that the government had cultivated from time to time. We are dealing with an equivocal solution that reflects the suspicions and doubts of creditors regarding the capability of the government, and of the country by extension, to establish true fiscal discipline and to shape the domestic preconditions for recovery and an exit from the crisis. However, the debt relief arrangement should not be dismissed. The servicing of a debt of nearly 110bn euros is being suspended up until 2032, while loan obligations through 2020 are covered by the 24bn euro cash buffer. The agreement provides that each year until 2022 there will be a return of profits from Greek bonds held by European Central Banks, totaling 4.8bn euros, as long as there is progress on a broad range of structural changes and reforms. Moreover, the solution that was decided entails maintenance of enhanced surveillance by creditors and of large primary surpluses of 3.5 percent of GDP until 2022. From 2022 until 2060, a 2.2 percent primary surplus is required. Fiscal strictures – essentially a long-term memorandum – will remain strong and demanding through 2060, with no room for a unilateral withdrawal. In that sense, celebrations and propagandistic parades – of the sort that inspire PM Alexis Tsipras and junior coalition partner Panos Kammenos – are not fitting. On the contrary, conditions mandate seriousness, discipline, and reflection upon what comes next. The truth be told, the only way for Greece to escape the vise of perpetual austerity is none other than economic development. Greece will stand on its own feet only if from now until 2022 it can achieve annual growth rates of over three percent. A chain of positive developments for businesses, labour and the state itself is the only thing that can transcend the doubts and suspicions of the international economic system and ensure trust. 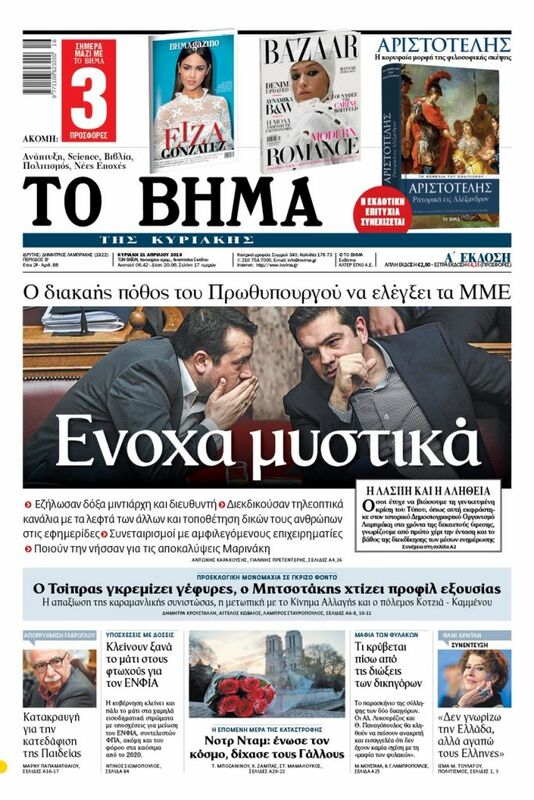 Only in this manner can one temper the repercussions of extended austerity, reduce unemployment, increase income and thereby increase public revenues, which will allow the return of funds to the Greek people, who have been sorely tried for a decade. This cannot be ensured by individuals or political forces that are determined by ideological fixations, prejudices, and one-sided views. In order to escape the dual vise of debt and austerity, what is needed is to achieve a growth of productive forces, to transcend self-interested schemes and plans, and to support without exclusion truly creative forces. There is an opportunity now to transcend old hang-ups, open up education, free up big investments, create technological parks and special development zones throughout Greece, link tourism with Greek production, expand the links of outward oriented shipping with the mainland, and highlight the productive capabilities of outward looking enterprises, so as to change the orientation of the economy overall. Only a nationwide wave of development and of linkage with creative forces can change the fate of the country.